Watching my dad die from heart disease was probably one of the hardest things I have done. After his third heart attack, bypass surgery, and only in his mid-50’s, my dad went on full disability with congestive heart failure, renal failure, and type 2 diabetes. I remember taking him weekly to the hospital to remove all the water from his blood from the congestive heart failure. I took him to all his doctor appointments, filled his pill containers, grocery shopped, cleaned, and prepared food for the week. I slept countless nights on his couch. It was a lot of work, and I have no idea how I managed to do it all. It’s just what you do. Eventually he ended up with a permanent shunt and off to dialysis 3 days a week until he passed away—from a bump on the head, of all things. It seemed a true blessing that he passed away in his sleep from a brain bleed. To my mind, he had suffered long enough. I believed from all my training and research that heart disease was something I was not going to be able to avoid. My dad’s heart disease started me on the path and I had already made significant changes before I became vegan. At one of my routine physicals, my cholesterol hit 271 and it scared the hell out of me. Well, that was it: no more fast food; I gave up red meat; and I started eating more vegetables, fruits, and whole grains. I was also terribly out of shape. I couldn’t even run a mile, but it had to start somewhere. Within a year I was running a half marathon every Sunday around Presque Isle State Park. I lost 40 pounds and lowered my cholesterol 100 points. And I learned that it is possible to improve overall health. I was not destined to live and die like my dad. He had made attempts to heal himself over those years. Wow, did he smell of garlic! He made tonics and elixirs — that’s what he called them — but he couldn’t give up his McDonald’s hamburgers (with only ketchup and no pickle which did baffle me). My mom, at eighty, takes more medicine than anyone should have to take. She has had a few mini strokes and lost the sight in one eye. She has been on cholesterol medicine since age forty, blood thinners, water pills, and a stool softener because of all the other medications she takes. My sister has been on blood pressure medicine and more since she was nineteen. She has type 2 diabetes and has been morbidly obese most of her life. She is convinced that if she takes a lot of protein, she will lose weight and live better. My brother, although he’s in a lot better shape that our sister, has also been on blood pressure medicine for a long time. He eats a pretty decent diet for the most part but it’s still standard American fare. I am the oldest at fifty-seven, an active vegan, and still on no medicine. I love my family very much. So, what does anyone do who loves their family? Tries to help them when they are suffering. My mom complains all the time about the pain she’s in, the constipation, losing her motor skills. She pretty much just sits in her chair all day, watches TV, plays solitaire on the iPad, and complains about her “situation.” I have tried so many times to recommend different food. With all the training I’ve had, I do know a bit about food and health. Not only am I an MSVA graduate, I took the T. Collin Campbell course, went through a vegan muscle and fitness course, and have been to countless talks from a lot of the great plant-based doctors and speakers. I don’t push a vegan diet, I try living by example. It’s actually insulting when no one will listen to a word I have to say. I used to take it personally and felt as though I would have to just wash away my feelings for my loved ones so it wouldn’t hurt so much to see their health fail. What is the right thing to do? I have to just be there for them, and not to let it hurt my feelings. I wish the best to you on your journey wherever it may take you. Craig Casler, VLCE lives in Erie, PA where he has three girls and nine grandchildren. He owns Absolute Infrared Inspection Services. I enjoyed, and lived, your story. I am a vegan for 12 years for the animals first, but the health benefits are undeniable. I read Dr. Campbell’s (and many other’s) books. My mom died 2 years ago, young, at only 76 from congestive heart failure. She too took so many prescriptions that the coroner was shocked. I could not get her to improve her diet or move more (she was extremely sedentary). I cannot preach and turn people off. I too try to lead by example without being annoying. At 52 with my vegan diet, and the gym, I do not take any medications at all. I look a lot younger and feel great. I hope, like you, that someone picks up on our message. I am sorry for your loss. I can relate to this! Had been a vegetarian for over two decades, but when I switched to a WFs vegan diet, I was able to reverse my type 2 diabetes, lower my cholesterol and bp. But my family members – we lost my brother-in-law a few years back due to complications from type 2, he was a double amputee on dialysis, dad has type 2, sister is overweight. They seem to have little interest in changing their eating habits, even after seeing the results I’ve achieved. I don’t lecture them, although if asked I share info. Their attitude seems to be, oh I could never do that. Then they’ll try to add an occasional extra serving of veggies, as if that will somehow work. Good for you! Yea, I don’t get it either. Some people just can’t change. I really don’t understand it. Wow, good for you. I have family in Germany as well as here in US. They stick with the standard European diet as well. We do what we can. Good for you though. It makes me so sad. Many people will say “it feels so unnatural not to eat meat (etc.) . But how does it feel natural to be exhausted and sick? Craig, I can relate to this, watching my parents suffer from cancer and heart disease. Hearing them say my dad needs to drink milk for his calcium because the doctor told them. Refusing to go to vegan restaurants because they have to go somewhere where they can find something to eat – ie; meat. I’m like you and try to live by example, because you simply can’t force people to change what are often deep seeded beliefs about lifestyle, health and diet. And doctors don’t often reinforce plant based solutions to health issues. Thank you for sharing and know that someone will be inspired by you, even it it’s not your family. I have learned as a vegan and yoga teacher to accept what is and change what you can. Be at peace and know you are making a difference with every bite. Thank you very much. The fight is real. The best best to you in your travels. I’ve been vegan for over 30 years, am trim and healthy, do aerobic dancing and yoga several times weekly, take no medications. Through the years I would try, by once in awhile sending a book or dvd, to help him see how much better he could feel by eating less, to begin with, and then by eating more plant foods. He would get angry, accusing me of trying to make him vegan. Of course that would be optimal, but I always phrased it as “eat more plant foods.” Once after I sent him a book on plant-based diets and diabetes, he said, “Even if I were completely convinced that going vegan would cure my diabetes, I wouldn’t do it!” It’s so hard to understand this kind of attitude! ! If I were in similar circumstances I’d do whatever it took to feel better. Now I have the same angst all over again, as his daughter, age 50, is considerably overweight, diabetic and suffering from respiratory issues. She’s at least exercising, but not making any dietary changes that I’m aware of. I’ve been able to develop some compassion around this by seeing it more as food addiction, behaviors that the person is apparently unable to control. But it’s heartbreaking nonetheless. Wow, good for you. Yea it seems to be a constant battle. I feel empathic because every one of you has a sad family narrative to share. Very frustrating! 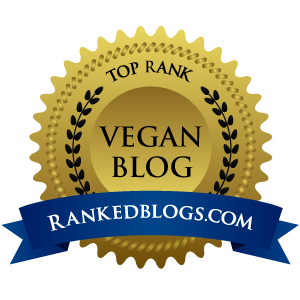 What I’ve learned, after 54 years of veganism and plant-based vegetarianism, is that no one wants to hear how they can improve their health, so I no longer give advice. No one sees me as a good role model when it comes to diet and exercise, even though I’m in my late 70s, still happily working and circling the globe. They tell me I’m just plain lucky to be healthier and taking no prescription meds. Few recognize that it takes a lifetime of hard work to achieve a state of good health. Wow, I wish I would have learned a lot sooner. But it’s never too late. And my teen daughter is very educated. I’m studying to be a Regusteted Holistic Nutritionist now, and I am pleased to say that soooo many people at interested in this topic and want to talk to me. I think people are starting to be more accountable. My family has followed o my footsteps and chosen ;on their own to follow a whole foods plant based diet. Keep on sharing your wisdom to those who seek it. That is so nice Kendyra!